Are you Artsy? Try this Cork Stopper Night Light! Home » Outdoors & Sports » LED & Flashlight » Are you Artsy? Try this Cork Stopper Night Light! Have you ever had one of those days where you just feel like making something crafty or unique? I know I have, and there are definitely times I want to just have some fun making something creative. 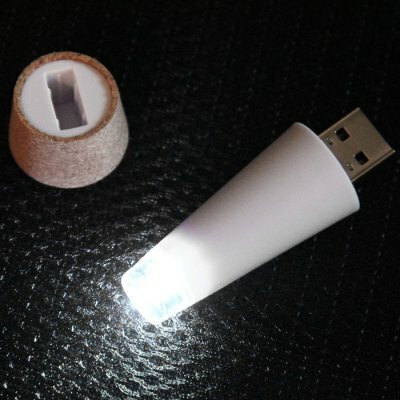 This product we’re going to discuss today is a cork shaped rechargeable LED night light. If you have some old glass beer bottles laying around you can pop this sucker into the top of them to create a DIY fashionable night light. For example, maybe you are thinking about having a special dinner for your significant other and you don’t have any candles, then grab a couple bottles and make sure you have three or four of these things handy to create some lovely table decor. I hear the ladies really dig guys who go through the trouble of creating their own candlelit dinners, and for the price you can’t beat it! Just remember to purchase several of these lights because you get one per order. 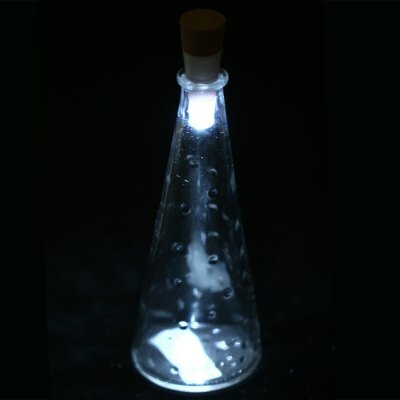 These tiny lights even fit into wine bottles, most chemistry beakers and various antique glass. This light can also last up to thirty thousand hours and it is made of plastic. When you buy this product you will get one rechargeable light in the package, so just have a USB cord handy when you want to recharge it! You only need to charge this for about thirty minutes and you will get two hours of use out of it! That is outstanding because it is not like most devices which take several hours to charge. That kind of time also makes it easy if you are in a pinch creating that dinner we were just talking about, and maybe you forgot to charge the device, so just charge it while you are cooking! I think this is such a cool product I wish I could buy one hundred of them! Smart Candles! Change the Atmosphere in Your Home!